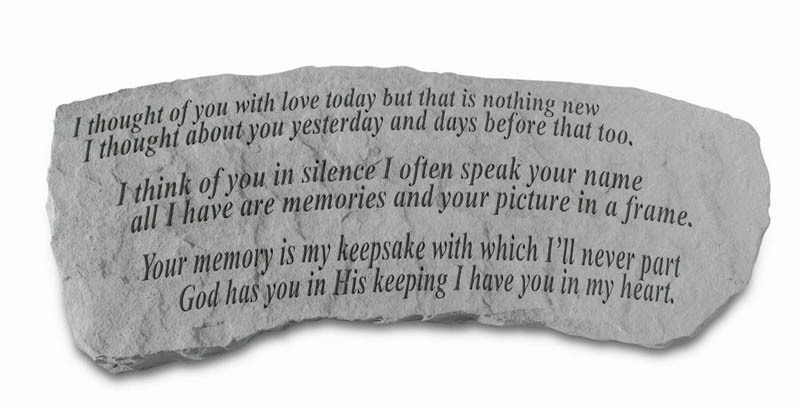 The I Thought Of You With Love Today memorial bench is a wonderful way to honor the memory of a loved one. Our decorative garden bench is made of hand cast stone concrete and proudly made in the USA. Each bench is weatherproof and durable for all seasons. 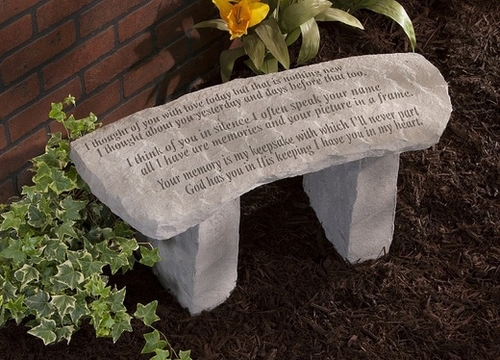 Memorial bench measures 29" x 12" x 14.5"
Ships within 2-5 business days of order. Ships directly from manufacturer.